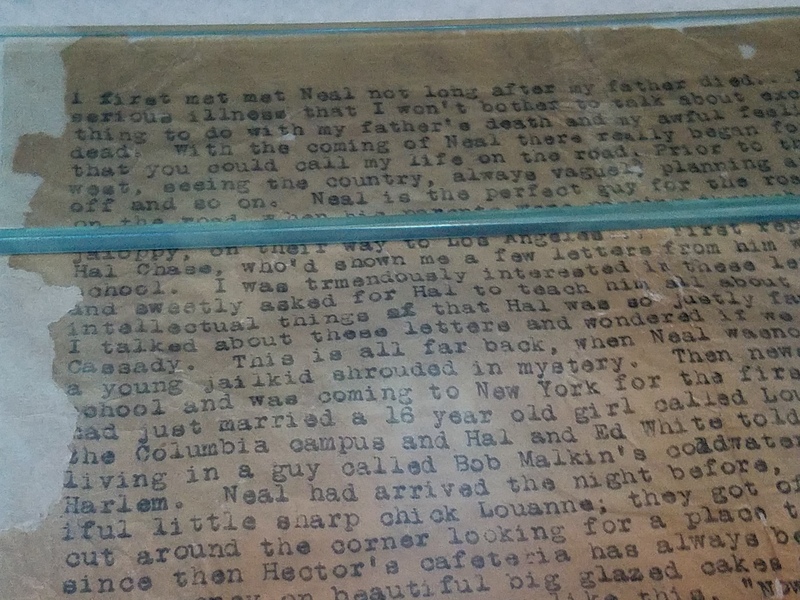 The beginning of Kerouac’s scroll on which he wrote first draft of On The Road. This is a temporary exhibit, there until later this fall. The scroll was under glass, and that blue line in the photo seemed to be another piece of glass holding the scroll flat.